Fireworks are a special July tradition in many if not all neighborhoods in Utah. Though fireworks can be a lot of fun, they can also be dangerous even if they are properly supervised. 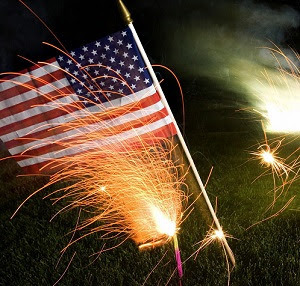 Because of the danger that can be associated with fireworks, it is important to take the proper steps to make sure that everyone is safe when using any kind of fireworks. Here are some safety tips that will help make this a safe July. Before buying fireworks, make sure that they are legal in your area. All areas East of Redwood Road and Camp Williams Road or anywhere within 100 feet of a dry field is prohibited. These restrictions will be enforced and anyone found violating them will be cited. restricted on or over any public property such as parks and schools. No fires and fireworks in wildland interface areas such as the foothills east of Wasatch Boulevard and Crestwood Park. Be sure to closely read and follow all safety instructions listed on fireworks packaging. A responsible adult should closely monitor/supervise the use of fireworks. Fireworks should be used outdoors and away from buildings/vehicles. Do not try to relight fireworks that may not have fully ignited. Keep a bucket of water or a connected water hose nearby at all times. The 4th and 24th of July should be a day of celebration that will create many fond memories of family and friends. Don't let those memories become tainted by injuries that could and should have been avoided.